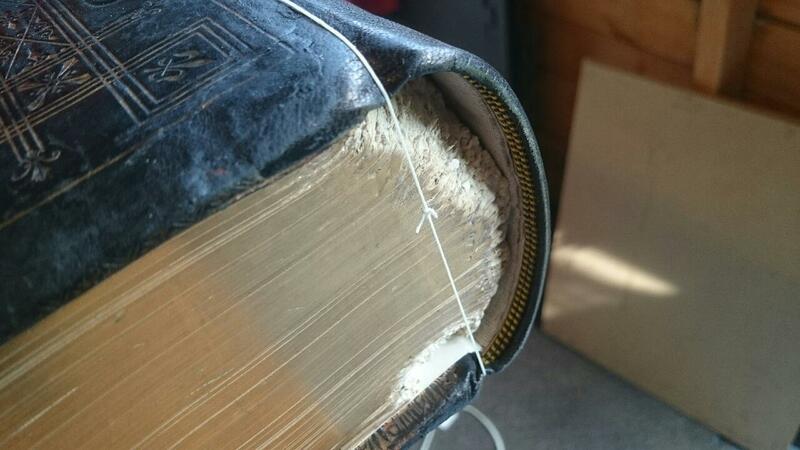 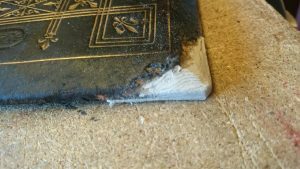 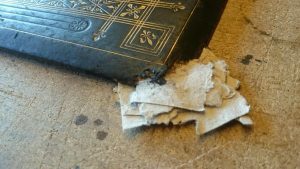 This bible was chewed by a puppy dog. 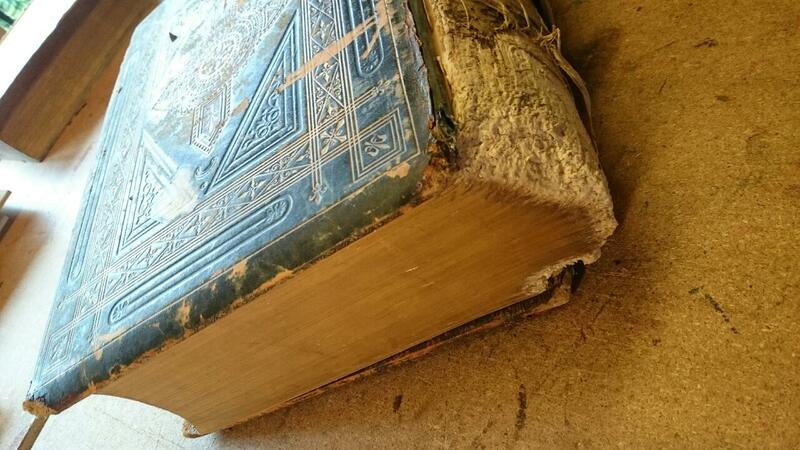 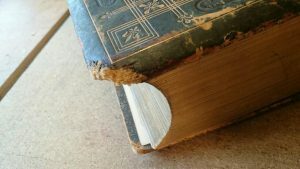 Very bad damage to the spine of the book block, the covers, the spine leather and the corners. 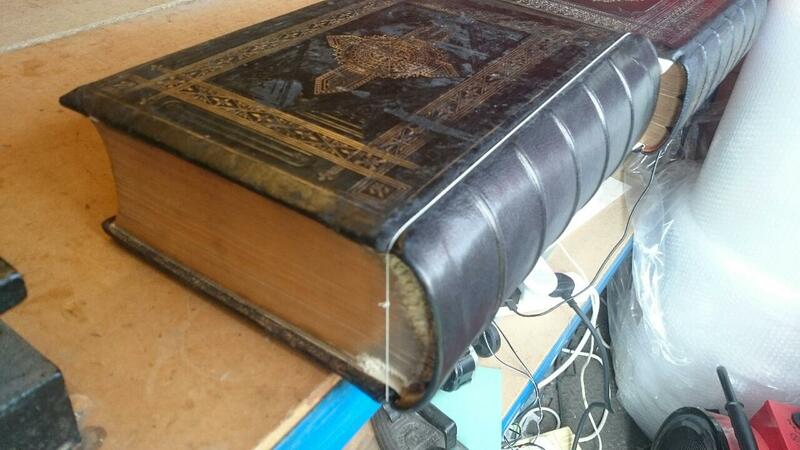 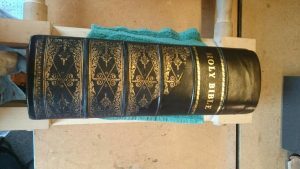 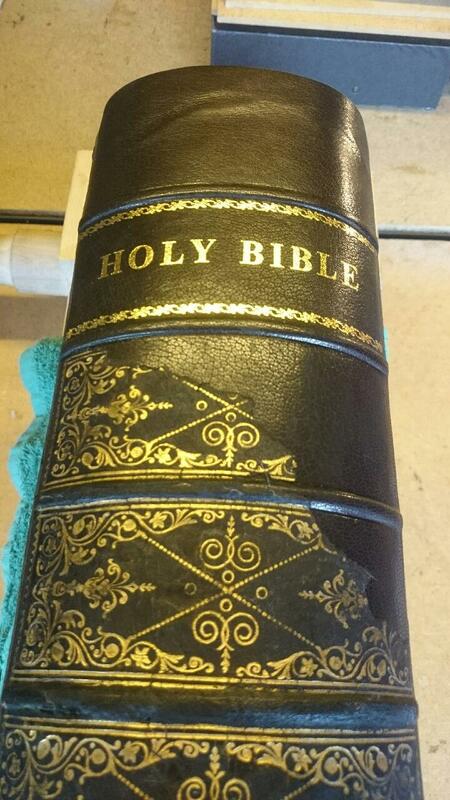 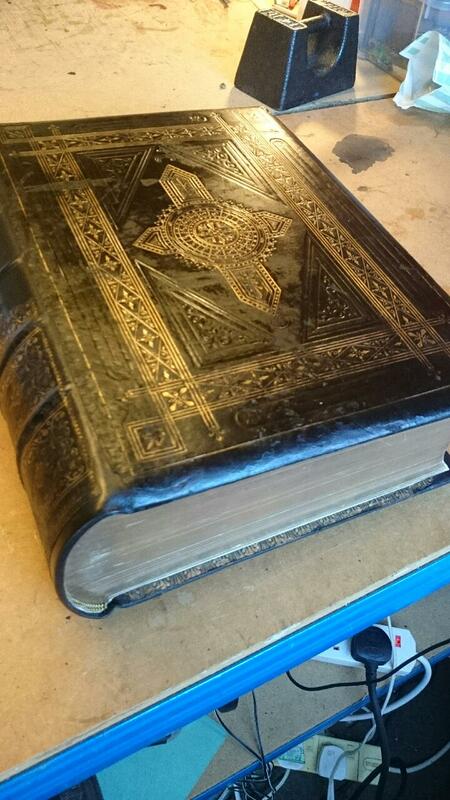 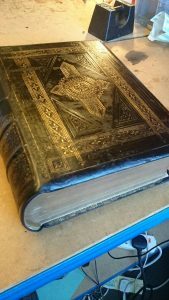 I rebuilt the corners, gave the bible a new goatskin spine and salvaged the remains of the old spine.